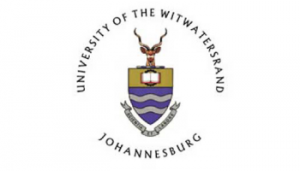 The University of Witwatersrand is located in Johannesburg and hosts more than 130 000 graduates in its 91-year history. The University of Witwatersrand is located in Johannesburg and hosts more than 130 000 graduates in its 91-year history. Wits is positioned 24th by the Times Higher Education Rankings among the world Top 100 universities from which Fortune 500 CEO's graduated. Wits offers students many services and extramural activities. The Division of Student Affairs, headed by the Dean of Students, links the needs, interests and concerns of students to those of the University administration.The Financial Aid and Scholarship office at Wits University is committed to help find you options to finance your studies. Want to study at Wits? If so, be in contact with the Student Enrolment Centre (SEnC) as they deal with any enquiries related to applying to study at Wits. This includes accommodation, financial aid, sport and other bursaries, career education, curriculum advice and selection test information. We can also help with registration, timetables, syllabi and booklists.